Lock emergencies can arise anytime. No matter its day or night, one can lock himself out of the home or vehicle or may damage the door locks. In such situations, never compromise with your safety and call in an emergency locksmith in Spruce Grove right away. 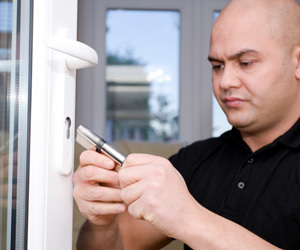 A reputed lock technician can save a locked out individual from stress and frustration by offering prompt and reliable lock and key repairs. Our team of qualified professionals will reach you within minutes after you placed an emergency call. At Spruce Grove 24/7 Locksmith, we are your local, fast, and trusted professionals who offer 24 hours lock installation, repair, replacement and lockout services. With an extensive list of mobile locksmith solutions, Spruce Grove residents can count on us for reliability and efficiency of our licensed, bonded, and insured locksmith. We serve residential, commercial, and automotive clients with emergency repair and replacement needs. When it comes to residential or commercial locksmith solutions, we are second to none. Our state-of-the-art techniques and equipments help us to offer emergency assistance to our clients. We implement the most effective solutions so that you can resume with your schedule in less time. Why choose us as your Locksmith? Being your local locksmith, we make sure to reach our clients as soon as possible to perform the right course of action. We will not leave your place until you are completely satisfied with our services. We care for your property and belongings as if they were our own, so you can rest assured you are in safe hands. Best possible emergency locksmith services at the most reasonable prices, CALL TODAY to avail our services.